[41:53] "We will show them our proofs in the horizons, and within themselves, until they realize that this is the truth. Is your Lord not sufficient as a witness of all things?" [55:37] "When the sky disintegrates, and turns rose colored like paint." We see it now in the years 1999/2000! and Quran mentioned it almost 1400 years ago. [ar-Rahman 55:37] When the sky disintegrates, and turns rose colored like paint. 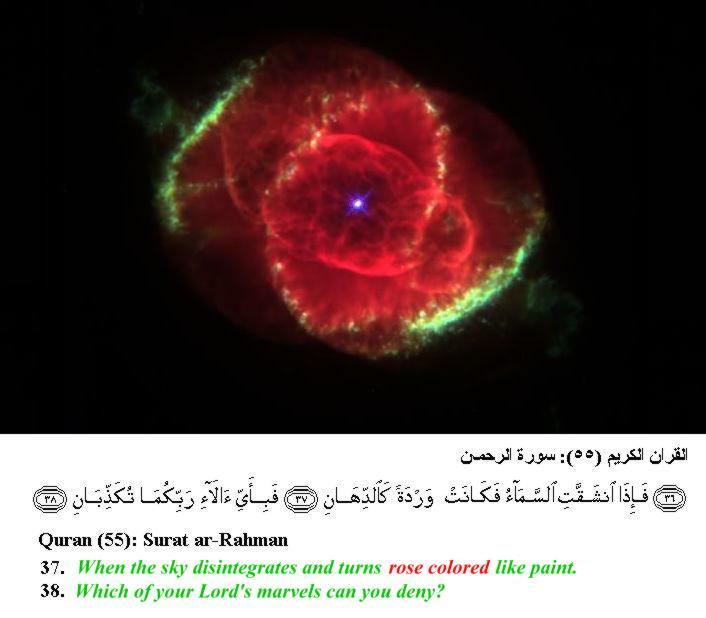 [ar-Rahman 55:38] Which of your Lord's marvels can you deny?